With Float Fest only days away, we’ve been getting super hyped on this weekend of stacked talent. From Tame Impala and Bun B to The Suffers and Com Truise, this is going to be one of the most epic gatherings all year. To top it off, it’s all going down on the San Marcos river in the heart of Texas, one of the most beautiful and oldest natural waterways in the country. This 75 mile long river has provided relaxation, tranquility and memorable experiences for those visiting its waters for the last 12,000 years. 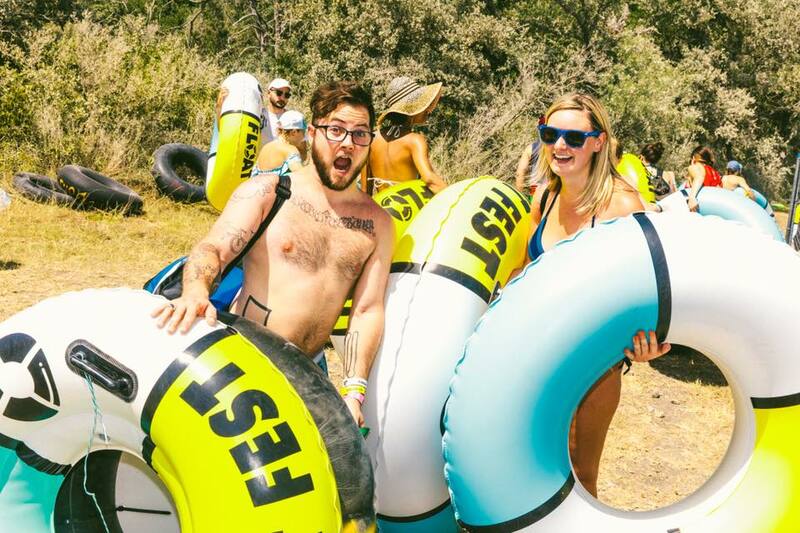 It’s up to attendees of Float Fest to be extra eco-conscious and mindful this weekend, and we’ve compiled a few tips for those unsure of where to start. Treat the River Like You Love Her! Whether you’re flying in or driving in, check the Float Fest event page to organize carpool situations. Volunteer your time before, during and after the fest to do your part on keeping the grounds clean! Keep these tips handy to share with your Float Fest crew so you can all party responsibly and treat the river with respect. Now to get you in the mood, we invite you to check out our latest Spotify playlist featuring a ton of artists from the lineup. See you all at the Float!